A couple of years ago we switched from toxic non-stick pans to stainless steel. I loved using them from the very beginning, but couldn't quite figure out how to use them at high heat for crepes, pancakes, and the like. Everything would just stick, burn, and be a total mess with butter. Then I finally discovered the beauty of coconut oil, especially paired with stainless steel pans. I am finally enjoying making crepes! 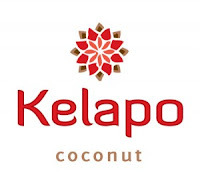 I've recently discovered Kelapo and the high quality organic coconut oil they make. There are a lot of things I love about it. The high smoke point, clear color when melted, the very subtle - barely noticeable coconut taste. Of course, most beneficial of all is the nutritional value. The good, healthy plant fats in coconut oil are similar to what's found in breast milk! It has a myriad of health benefits. There are two ways I love to use Kelapo Virgin Coconut Oil - for frying and in smoothies. I don't often fry anything, I usually just steam or cook at low heat. But sometimes we crave crepes or pancakes and this works out perfectly (not so perfect mini crepe of mine below, recipe coming soon!). We also drink a lot of smoothies for snacks and even as meals in the summer time. The coconut oil is perfect to add for an additional nutritional boost and to make it more filling. One Eco-Babyz reader will be blessed with a large 15 oz tub of Kelapo Organic Virgin Coconut Oil! MANDATORY ENTRY: Follow Eco-Babyz with GFC (blogger) AND visit the Kelapo website and tell us what is your favorite recipe. Contest ends at 11:59 pm on Tuesday, May 3rd, 2011. Winner will be selected using Random.org and contacted via email. Open to US residents 18+. Im following you via GFC (jlizgar) and I visited the kelapo website and I think the power bars recipe listed under breakfast sound delish! Im going to def. Try them! I follow you on GFC and I think the Almond Toffee recipe looks great! I follow on gfc. Thanks for the chance! The almond butter looks great. I like the almond butter recipe. I never thought of putting coconut oil in it. follow you via gfc.....would love to try the homemade oreo cookies recipe..
i'm an email subscriber too.. I like the Mushroom Sandwich Pitas recipe. I joined you on gfc and the Gourmet Chicken Pesto Sandwiches sound delicious! Liked on facebook and following blog. The Pineapple nut bread seems delicious ! The pinapple nut bread looks yummy! I follow Eco-Babyz with GFC! My favorite recipe is the Fresh Fruit Smoothie! I voted for you on Top Baby Blogs! 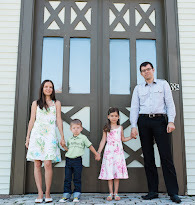 I rated you a 10 on mommy blogs! I signed up for the Kelapo newsletter. i love the fresh fruit smoothie recipe! The aqpple bread is the one for me! Yummy! You have just voted for Eco-Babyz! Remember, you can vote every day. subscriber spencer1953 at gmail dot com.